When disaster strikes in New Zealand we're ready to go. We provide assistance and support where required, to help communities around the country. Become a Disaster Welfare and Support volunteer to offer a lending hand during times of disaster. When disaster strikes in New Zealand we're ready to go. We provide assistance and support where required, to help communities around the country. We work closely with the Ministry of Civil Defence and Emergency Management as well as other government agencies and emergency management groups. Disaster welfare support trucks. These can unpack to become a welfare support reception, providing shelter and food for up to 150 people. Within six hours our response team volunteers can be on the ground with one support truck on the way. Within eight hours we can have 120 volunteers, one disaster welfare support truck and 190 welfare beds set up and providing support. An additional 120 volunteers can be on the ground within a further 72 hours, and another 120 volunteers within five days. 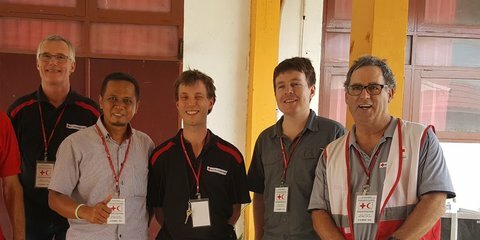 New Zealand Red Cross delegate David Pennington and his team played an essential role in helping some of the thousands affected by an earthquake, tsunami and liquefaction on the Indonesian island of Sulawesi. 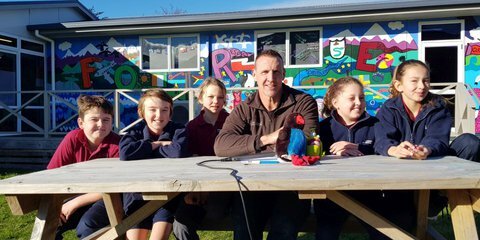 A new Red Cross education programme is building resilience among school children, making them better able to prepare for and cope with disasters. 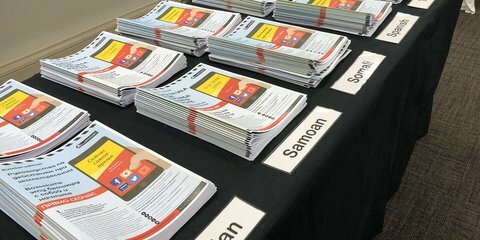 A joint project is giving migrant and former refugee communities in Aotearoa the tools and knowledge they need to prepare for disasters.